50% OFF 2nd Pax, 2nd Pax FLIES FREE & more! Travel With a Professional Photographer That Captures Iconic Moments You’ll Never Want to Forget. Fly With Air New Zealand Today! Plan Your USA Trip Now! Sign up now to enjoy 200 points! 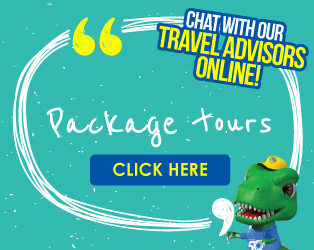 Be spoilt for choices with over 25,000 day tours, attraction tickets, events and activities around the world. My Star Guide 14 Participate in Production of TV Programme! Discover New Zealand with Us! Indulge in Qatar’s Exciting 4WD Desert Rides, Traditional Markets & More! Enjoy $100 OFF Per Couple! Enjoy PLUS up to $500 OFF Per Couple! Amazing Views From World’s Tallest Building, Theme Park Fun, Desert Safari Experience & More! Up to S$1100 Per Couple! Live The Good Life in Europe with Trafalgar during Autumn, Winter & Spring! Discover Australia at your Fingertips! Find out what's trending now at ChanBrothersAustralia.com! Everything you need to know about Taiwan is available on our NEW Taiwan Travel Centre! Fulfill your wanderlust with a Campervan holiday in Australia & create memories of a lifetime! Why book Europe Tours with Chan Brothers Travel? Find out why, and also learn more about our latest promotional offerings ! Your one stop solution to travelling Japan. Travel from Tokyo to Hokkaido, or Kyoto to Okinawa - we'll have you covered from point to point. PACKAGE TOUR Exclusive: All you need about your trip at your fingertips, an all-new app with every information possible. 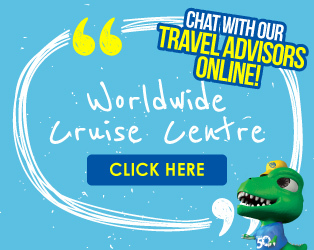 Chat with our Travel Advisors Today! Speak directly to our experts today! Have a fantastic new idea and can't wait to make your dream a reality? Begin your journey here today! Limited Time offers such as FREE Taipei Easy Metro Card* & more! 4 Countries in 1 Tour!